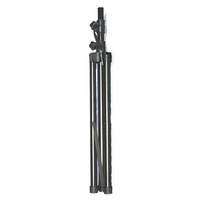 SWAMP heavy duty steel tubing speaker tripod stand. 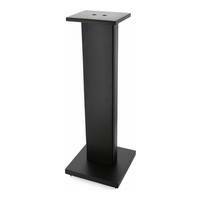 Constructed from steel this is a strong and highly durable speaker stand designed for use as a portable PA speaker stand. 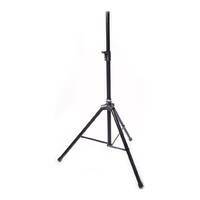 Heavy duty tripod speaker stand. 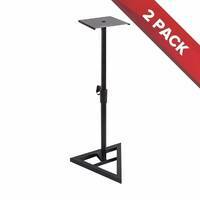 Constructed from steel this is a strong and highly durable speaker stand designed for use as a portable PA speaker stand. 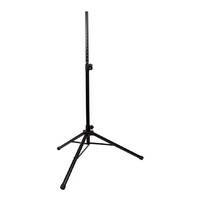 With a height range off the ground ranging from 117cm to 220cm, the stand is suitable for most live occasions. 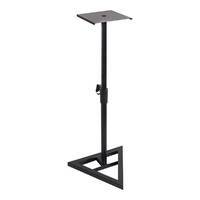 The stand can go higher than 220cm, however 220cm is the maximum advisable height for loads over 15kg. It can also fold down for easy storage/transport. 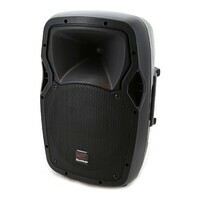 Suitable for holding all speakers with the standard stand hole (diameter 35mm) found on just about every PA speaker. 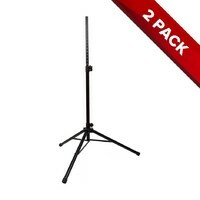 Sturdy well-made stand at a great price. Very happy with this.